Anthony N. (Tony) Corrao brings his corporate and high-net-worth individual clients over 25 years of experience in the financial services industry. His focus is helping families achieve their financial goals by developing financial, educational, and retirement planning strategies. Tony founded Corrao Wealth Management in 2012 and merged his firm with Manhattan Ridge Advisors in 2018. Tony was previously Director – Investments at Oppenheimer & Co. Inc. and a First Vice President – Investments with Citigroup/Smith Barney from 1994 to 2005. He also worked as a Financial Consultant at Lehman Brothers from 1990 to 1994. Tony began his Wall Street career at Prudential-Bache Securities in 1988. Tony holds the General Securities Representative registrations (Series 7) and the Uniform Securities Agent State Law Examination (Series 63) and the Uniform Investment Adviser Law Examination (Series 65). He is licensed as an agent for insurance in New York, New Jersey, Connecticut, Florida, Indiana and Delaware. 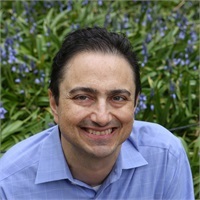 Tony earned a Bachelor of Arts in Political Science from Boston University and a Master’s of Business Administration from the University of Pittsburgh. He is currently pursuing his doctorate in management and marketing at Pace University in New York City.